Both western media and Chinese media have been writing a lot about the record levels of smog in eastern China during the past week. Flights have been cancelled, schools have been delayed. 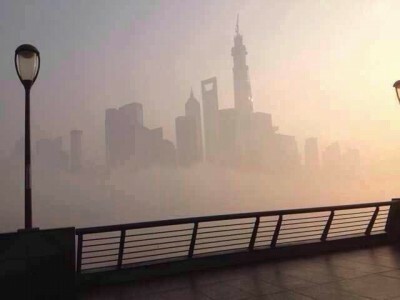 On China’s social media, Weibo and WeChat users have been posting pictures of their shrouded cities and updating the air quality index. A depressing infographic with ways to beat the smog was circulated on Weibo on 4 December 2013. 1 The smog is not only due to the weather, but environmental pollution, the government should shoulder the biggest responsibility. 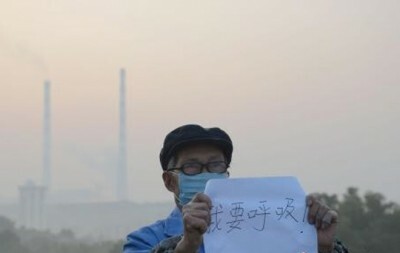 2 Coal-fired power generation is the most significant source of air pollution and the hazy weather. 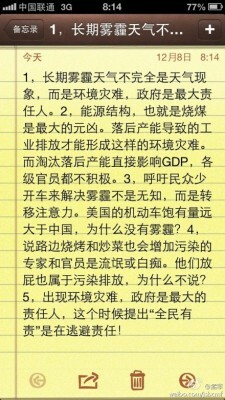 But getting rid of it will slow down the GDP, so the local government is reluctant to do so. 3 Calling people to drive less to fight the air pollution is not nonsense, but it’s also a good way to distract people’s attention. America is a nation living on the automobile, how come they don’t have such hazy weather? 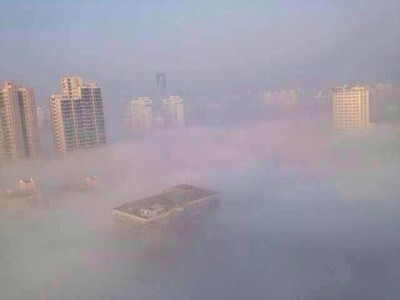 4 Those experts and officials who think street BBQs and cooking have increased the pollution are idiots. Fart is also pollution, why not put this on the list? 5 Government should take the biggest responsibility for the environmental disaster, when they say “everyone has responsibility”, they are trying to avoid their own responsibility. The screenshot was reposted over 130,000 times and has triggered over 40,000 comments. Many netizens showed support. 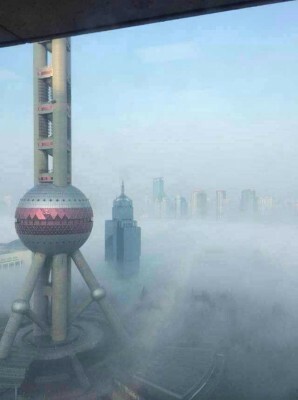 Facing air pollution, what we should do is not wear a mask, but stand up and say no. Energy restructuring, raising emission standards for coal-fired power plants is the only way to solve the problem! During rush hours in the evening, you will find many buses in Beijing are empty or have few passengers, just like the cities in northern Europe with small populations. People either drive or take the subway. There's no policy to encourage green living, so people keep facing traffic jams while breathing in toxic gas and cursing the government. The sign reads, “I want to breathe”.